Published October 25, 2013 at 1382 × 912 in PORTFOLIO. Francis White. 2013. 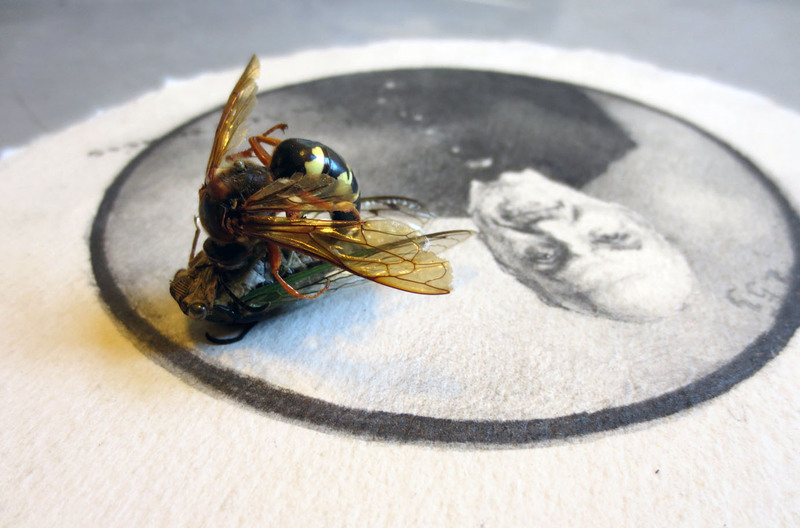 Graphite, paper, cicada, cicada killer wasp. 8 in diameter, 2 in high.